I loved the first part of March with my whole heart. I spent time with some of my dearest friends in the world and experienced tremendous personal growth. The tides are changing, my friends. Maybe spring is waking up my senses but my mind is spitting out ideas faster than I can keep up. But this month wasn't perfect. One of my dearest loved ones is walking a difficult road right now and this breaks my heart. Also, a news story arose which I still don't have words for but which would easily lead me down the path of cynicism. What I'm trying to say is I'm praying like never before. I have read sooo many good books recently. This is a true treasure trove, y'all. If I could demand everyone read a book, I'd start with To Be A Friend Is Fatal (Johnson). It is that good and one that needs to be read. My grammar school classmate wrote about his time in Iraq and the birth of the nonprofit The List Project to Resettle Iraqi Allies. The way the US treated the Iraqis who helped us is shameful. I commend Kirk for his tireless efforts. An eye-opening, engaging, and insightful read. 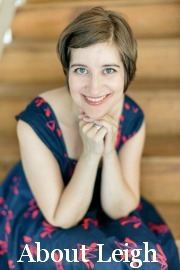 Mary Carver recommended Cinder (Meyer) in her last What I'm Into post. I was intrigued it was 1) YA and 2) a take on fairy tales but I was less intrigued by "robots" and "sci-fi." I couldn't put it down! I figured out the main plot twist immediately but I didn't care because Meyer created such a fascinating world. I love that it's set in Asia (when's the last time you encountered a non-white main cast in a YA book?) I love her spin on Cinderella. I read Scarlet and Cress in short order. Now a whole year until we learn how it concludes! Not being a fan of Eat, Pray, Love, I'm glad I took a chance on The Signature of All Things (Gilbert). It was refreshing to have an unmarried main character and see how she wrestles with her station and sexuality over several decades, especially in the 18th and 19th centuries. Gilbert's voice is that of a detached narrator, resulting in a book that's neither plot-, nor character-driven, yet it remained compelling. I'll be pondering the inspiration behind the title for some time. Two friends wrote books and I was thrilled to receive advance copies. Highly recommend Micha Boyett's spiritual memoir Found. Beautifully written, lovely, engaging, insightful, it deeply resonated with me. Truly a breath of fresh air. It was nearly impossible to put down Elizabeth Esther's Girl at the End of the World. I would advise caution if you've come out of a fundamentalist background. For me, it was eye-opening and heartbreaking to learn what EE went through at The Assembly. Proud of her for sharing her story and doing it so well. I'll share about We Are All Completely Beside Ourselves next month. We'll be discussing Daring Greatly (Brown) at The Red Couch next month. My introductory post will be up next week. Hope you'll join us! As to The Real Housewives of Beverly Hills, all I'll say is Lisa deserved much better treatment than she got and Brandi is an absolute trainwreck. I actually watched movies this month! When the Academy Awards aired, I was ashamed of how few movies I'd seen this past year and am determined to do a better job in 2014. I watched the Veronica Mars movie via Amazon rental the night after it released and again this past weekend at the Belcourt Theater. I highly recommend the theater experience. As a newly obsessed fan of the franchise, I was pleased. It wasn't perfect but it was super enjoyable and gave us a plausible idea of what Veronica's been up to the past 10 years, as well as laying groundwork for a possible sequel. (Yes, please.) Also Logan looks most excellent in a military uniform. This SPOILERY review captures most of my thoughts. The best way to watch Frozen for the first time is with kids who have seen it a billion times. I don't like snow and even I was ready to go build a snowman. Bad Grandpa: I figured if I was going to give any of the Jackass Productions a try, it would be this hidden camera road trip. Plus, my friend's husband directed it. I could not stop laughing! There were moments that went too far (for me) but it was hilarious and well done. Plus, Johnny Knoxville's transformation in to a plausible old man is a thing of beauty. Listened to Nickel Creek's new album A Dotted Line a few times, thanks to NPR's First Listen. SO GOOD. I can't wait to own it, even if this fueled my bitterness toward the scalpers who bought up most of the tickets for their shows at the Ryman. Listen to the What I'm Into 2013 Spotify playlist. The What I'm Into 2014 playlist is getting started. S1NGLE: God's Gifts- Our Plan conference put on by Tim Keller's church Redeemer Presbyterian. I watched via livestream (it's still up). I didn't agree with everything but I was so heartened to see a church caring for their single congregants in this way. Super proud of my friends Amanda and Raechel at SheReadsTruth, who started a Kickstarter to raise money to build a Bible and Devotional App. The first phase was fully funded in less than 24 hours! Now they're working toward phase 2, which will build an app for Android. Consider donating? They've got some awesome rewards. Another StitchFix winner! I kept 3 items from this fix but the top and skinny jeans above were the clear winners. Those jeans are miraculous. 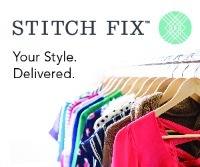 If you haven't tried StitchFix yet, what are you waiting for? Reconnecting with my friend Jan Shegda! Jan and I went to grammar school and high school together and also worked at the same Christian Bookstore. We lost touch several years ago but a reader mentioned my Enneagram and Blogging series to her. I can't get over how many things we have in common, right down to our Enneagram and MBTI types. Full circle. So, so fun. C3 Conference: I was only able to attend the Thursday evening session but I'm so glad I went. There was a tapas and wine reception, plus a fantastic art show. Glennon Melton spoke- I'll never forget cookie communion. I got to meet people, including reader Sarah who reached out and invited me to attend and was the best wingwoman a girl could ask for. I got to hang out with my friends Melissa and Rachel. You should plan on going next year. My friend Kim passed through town and I was able to introduce her to fried pickles. They were a big hit! I love how many of my friends want their first fried pickle experience to be with me. It is only right and fitting. St. Patrick's Day- Irish in my heart, yo. I wrote a little about my trip but the whole time was magical and refreshing and healing. I didn't want to leave. Ashleigh's family is the best. Plus, she and her husband let me do the Enneagram flashcards with them. She is the sister I never had, a true kindred spirit. I hate it will be several months before we see each other again. Watching random episodes of Ally McBeal with Ashleigh, who'd never seen it before. Brought back good memories of being piled in to friends' dorm rooms. Even though I realized I am now a few years older than Ally. Breakfasting with Luke and Jill Harms and their sons. They brought all the fixings for Luke's infamous pancakes to Storybook Farm. I mean, Luke has a dedicated pancake spatula. The man means business. The berry compote, the freshly whipped cream with vanilla from Mexico, the chocolate chip pancakes, the egg, cheese, and bacon pancakes? HEAVENLY. Such a treat to spend time with them. BirchBox included a sample of DDF Ultra-Lite Oil-Free Moisturizing Dew and it's about all I've used the past couple of weeks. My skin is super finnicky so I was skeptical but it's super moisturizing and not irritating at all. I'm definitely buying a full-size bottle. I've been really impressed with the products they've sent since signing up last fall. The return of baseball! While I hate missing the Home Opener, I'll be cheering on my boys from afar. GO WHITE SOX! This month was consumed by the rest of The Enneagram and Blogging series. 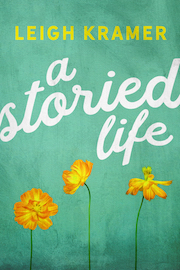 I loved hearing how the series encouraged people and normalized their tendencies. We're not alone in any of this! I also got a kick out of notable bloggers such as The Nester, The Art of Simple, Shauna Niequist, and Rachel Held Evans sharing the series. Thank you, one and all. I also announced I'm going to start Enneagram consultations soon. 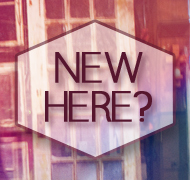 The giveaway is over but you can sign up for my Enneagram-specific newsletter here. On the Leigh Kramer FB page, I told you which Enneagram series I'm dreaming up next and who hit on me while I was in Virginia. Hint: not my future husband. 1. Today’s link-up will stay up for one week. The next What I'm Into link up will be Wednesday April 30. To learn more about this series, as well as how the survey was conducted, please read this post. Nines want to keep the peace, get along with others, and avoid conflict. They tend to take on qualities of the other 8 types, which accounts for the variety within personalities of this type, ranging from gentle to forceful. Nines are accepting, trusting, creative, optimistic, and stable. They are amazing supporters and do a great job of truly seeing and hearing another person. They can be overly willing to go along with others to keep the peace and want everything to go smoothly. They are able to bring people together and heal conflicts. They can also tend to be complacent, simplifying problems and minimizing anything upsetting. They typically have problems with inertia and stubbornness. Read this profile for a complete description of Type Nine. Our Nine respondents generally fell in to two camps. Some feel they are writers, first and foremost. They tend to blog more often as they feel compelled to write regularly. The others did not blog regularly, most of whom did not appear bothered by this. Do you have any goals related to blogging? Besides building a platform or working toward publication, Nines want to encourage others. Those who are Christian may want to specifically encourage people in their faith. Several respondents reported a desire to be more consistent and blog more regularly. Nines tend to do their own thing, regardless of the "rules." As mentioned above, bloggers who identify primarily as writers tend to write more consistently; they just might not do many of the Serious Blogger Recommendations. Having no blog-related goals was the other popular response, with respondents stating they struggle with goal-setting and follow through. This is a typical struggle for Nines. They can be efficient when they want to be or when they learn the First Things First rule: make a short list of what needs to be accomplished that day and stick to it. What do you not like about blogging? Peace-loving Nines especially dislike the divisiveness accompanying the blogosphere. A mean comment can keep them down for days or forever. Fighting makes them squirm. You're unlikely to see Nines leading the pack when it comes to writing about today's controversy. They might have opinions but a harmonious environment is more important to them. They also don't like how many different tribes there are. Why can't we all be one big happy family blogosphere? They want to avoid conflicts and tension. Speaking of tension, please don't pressure a Nine to build a platform or talk to them about the necessity of competing. This taps in to their need to avoid. Nines often believe their participation isn't necessary or important. Even though they've chosen to blog, they're more comfortable with doing their own thing and not questioning their "brand" or what the point of it all is. Any sort of pressure makes them more likely to go in the opposite direction and they might decide to stop blogging altogether. 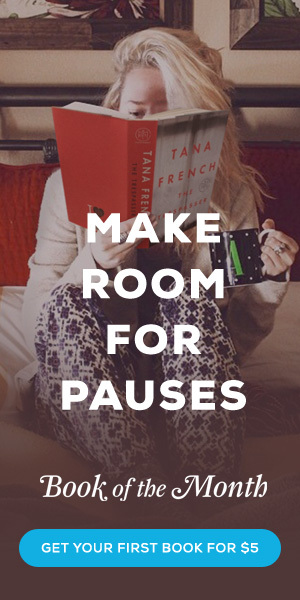 They desire peace of mind just as much as they want peace in their (blogging) environment. A few respondents expressed feeling guilty about not being able to respond to comments fast enough or at all. Nines would hate for a reader to be upset if their comment didn't receive a response. At the same time, Nines can't always dedicate more time to their blogs because of other responsibilities. They might turn off comments from time to time in order to save face or avoid wading in to the comment section altogether. What are your strengths as a blogger? One of the greatest gifts Nines give us is a peaceful and safe place. They are gifted mediators and peacemakers, which translates well to the blogging medium. They're able to understand every side and don't believe there isn't room for common ground. Healthy Nines aren't afraid to weigh in on potentially controversial matters and they do it in a gracious way that invites civil discussion and thoughtful dialogue. In fact, a balanced Nine who has tapped in to the strengths of their Eight and One wings, can say things in such a way that much good results because we are able to hear it, which is not always the case when an Eight or a One takes charge. Nines often call us toward a better way. They are gentle prophets. They are great at coming alongside us and helping us see another point of view but also showing us what could be. They are often transparent, which helps readers feel comfortable no matter the topic. Nines are great people to spend time with, whether in person or across a screen. Their warmth and caring translates well. They are talented at forging community with their readers and with other bloggers. A great example of this comes courtesy of Megan Tietz's blog tagline: "let's pretend we're neighbors." What are your greatest struggles/temptations as a blogger? One of the Nine's greatest temptation is to quit blogging. They tend to be non-committal and would rather not be tied down to anything. They might struggle with how often or little they blog. Respondents who feel driven to write reported the blogging medium isn't their best or only outlet. Some of these respondents felt they were great writers but lousy bloggers. Still others press on and continue to blog but often fight against the impulse to throw in the towel or burn down the internet. When stressed, Nines are especially tempted to withdraw, perhaps as a way of preservation. Nines don't often have a clear sense of themselves and this can filter in to their blog as well. They often seem particularly surprised by how beloved they are or by the opportunities that come their way. They may not be able to define their niche or understand what they contribute to their readers or the blog world at large. Nines need to figure out what they actually want- this is true of their personal life and their blogs. They also need to decide it's worth the effort. Nines can accomplish great things when they decide to be engaged and take action. The other struggle for Nines is numbing. This won't necessarily be evident in their blogs but in how they consume social media and other blogs. As a way to avoid stress/pain/circumstances, they'll read page after page of blog archives and scroll through Facebook and Pinterest and Instagram. Not bad things in and of themselves but Nines must be mindful of what they are doing and why, especially if this prevents them from working on their own blog posts. Eights want to be self-reliant and strong. They hate feeling weak or dependent and avoid it at all costs. They are self-confident, resourceful, and assertive. They like to test boundaries and often believe rules were made to be broken. They are passionate about justice and truth. Eights are able to use their strengths to improve others' lives. They can be heroic, empowering, and inspiring. Straight-talking and decisive, they can also be egocentric and domineering. Because of their need to control their environment, especially people, they can become confrontational and intimidating. They can have difficulty admitting mistakes. Eights typically have problems with their tempers and with allowing themselves to be vulnerable. Read this profile for a complete description of Type Eight. ^Most analysis of Eights centers on their love of pushback and sticking it to the man; most of the responses from survey participants aligned with this view. However, there's much diversity within this type, according to their more dominant wing. Though I tried to accommodate for some of this, 8w9s might not relate as well to profile. Respondents had mixed reactions about blogging. For some, it's been a valuable outlet, allowing them to express themselves and explore new content. It may have opened up the door toward publishing or channeled their activism toward positive change. However, some respondents question whether blogging is the best medium for justice and reconciliation work. The posts closest to their heart and work may not get much blog traffic, which makes them wonder whether their time would be better spent elsewhere. Besides building a platform or working toward publication, Eights want to help those who are marginalized. They love to use their voice and power on behalf of those who are weak and marginalized; they view their blogs as a tool to empower, open eyes, and raise awareness. They want to be truth-tellers in any number of contexts and also be true to themselves. They want their work to challenge and inspire. They want to help people ask difficult questions. They want to build up the community around them, as it is, not as it may be ideally. Those who are Christian reported wanting to expand the Kingdom of God. Some Eights reported wanting to use their blogs as launching pad toward other opportunities, including monetizing their sites, speaking, teaching classes, and writing ebooks or books. Respondents didn't like how sensitive people can be and reported some people take blog posts too seriously, as it's a short-form medium, not a dissertation. They don't like when readers misinterpret their words or misunderstand their hearts. The discipline of critique can be demonized within the blog world, to which Eights take offense. Eights love what Richard Rohr calls "confrontational intimacy." Eights push back as a way of making contact but they don't always understand that their delight in verbal sparring may be received as aggressive, mean, or below the belt. They want to advocate for others but may step on others or be closed off to other arguments in their quest to do so. Because Eights want to prove their strength and not be controlled by others, they might have a hard time identifying their brand. They don't want to be boxed in, even by themselves. They don't like the inherent social ladder or the middle school dramas that seem to accompany the blog community. One respondent reported she didn't like the "hidden factor of blogging- how we truly only know a certain part of someone, not the whole." She wanted to be able to look in to her readers' eyes and know their stories. For an Eight, this might be a way of knowing where they stand and gauging whether they have the power in the situation. Many of the respondents noted their posts are direct and concise. They tend to write quickly and are able to connect different ideas that people wouldn't normally think to connect. They are able to be discreet. They write tight analysis. Several respondents were proud of their discipline to the craft of writing and noted how this has helped them grow. Eights don't write for the crowd and this frees them up to say the things others won't. They'll stick it to the Man and do what they can to set captives free. They'll do anything to help those who are weak and marginalized. Eights are passionate about their causes, beliefs, and the people for whom they feel responsible and this definitely comes out in their writing. They're typically not afraid of radio silence or negative feedback. In fact, some Eights relish the opportunity to respond to negative feedback. (See "confrontational intimacy" above.) They know their voice and what they have to offer. They are true to themselves. The Eight's greatest struggle is their shamelessness. Out of their fear of being controlled, some Eights are no holds barred when it comes to how they react. They can easily become mean and dismissive. They may not realize or care if their directness intimidates others. They might have difficulty paying attention to other writers. Eights want to protect themselves and be in control of their destiny at all times, which can make attention in the blog world a difficult beast. They might love the attention when their posts are read but get thrown off by having "fans," as fans can be fickle or can tap in to their difficulty with vulnerability. Eights might not always know when their voice is not needed in the conversation. They might be tempted to write something just to get attention. They are quick to jump in, to advocate, to opine on whatever today's problem might be. When anger drives their response, they may regret it. Healthy Eights understand they don't need to weigh in on every conversation, nor does anger need to drive them. A few respondents reported their biggest temptation is not to blog at all. They feel it might not be the best use of their time, as they'd prefer to be out in the field, getting their hands "dirty," so to speak. Less talk, more action. Other Eights reported difficulty in making and keeping boundaries as a chief struggle, as well as spending too much time online. Sevens are extroverted, optimistic, versatile, and spontaneous. They're motivated by the need to be happy and contribute to the world. What with their playful, energetic ways, Sevens can be a ton of fun! In fact, you might find yourself feeling happier and more inspired after spending time with them. High-spirited and practical, they can also misapply their many talents, becoming over- extended, scattered, and undisciplined. They constantly seek new and exciting experiences, but can become distracted and exhausted by staying on the go. They might be fully enthusiastic about one idea for as long as it holds their attention and then it's off to the next idea. When they focus on worthwhile goals, much good results. They typically have problems with impatience and impulsiveness. Read this profile for a complete description of Type Seven. Sevens might not always be the most consistent bloggers (squirrel!) but their versatility keeps people engaged. They can hold court on any number of topics. Their desire to make the world a better place is often reflected in their writing, whether bringing sunshine and laughter to their readers or raising awareness about causes and organizations close to their hearts. Don't be surprised to find Sevens engaged in multiple endeavors: blogging, writing books, recording podcasts, speaking...all this in addition to the general activity of their lives. Besides building a platform or working toward publication, most Sevens seemed to want to blog more consistently but weren't sure if they'd follow through. Because of their penchant for working on whatever's currently on their mind, blogging can get lost in the wayside. Except for when it doesn't. A Seven might post once a month, if that, for a while and then offer a spate of posts in the span of a week. It all depends. Those who expressed desire to be published reported wanting to build their platform and appeared more likely to follow through on this goal. For those Sevens who blog because they think it's fun or because they want a place to share their ideas, goals may be more theoretical. As one respondent said, "Did you mean attainable goals?" They have goals or even great ideas on how to improve but not necessarily the attention span or desire to work toward them. That's not necessarily a bad thing. It may be more important for the Seven to devote their focus toward non-blogging related endeavors. The blog will always be there, if and when they have something to share. While Sevens generally enjoy learning and are curious souls, they prefer to do it on their own pace, wherever the wind blows them. To that end, they expressed not liking the detailed side of blogging: such as coding and organization. Unless Sevens are particularly interested in these things (and some are! ), it will feel like one big long To Do list filled with things they hope will magically get done on their own. They can follow through, if they want, but it can be a frustrating experience. They would rather do something fun. Respondents said they felt pressured to "play the blogging game." They didn't like having to strategize their every move or consider whether a post will go viral. They might Tweet out a post but it's more likely to be according to their dictates instead of what the experts say. They would rather write and play with their blog friends. Sevens reporting have a love/hate relationship with vulnerability. They like sharing their story and can in fact be excellent storytellers but it can be hard for Sevens to talk about difficult circumstances, as it goes against their basic fear of experiencing pain. Healthy Sevens are able to embrace vulnerability and recognize positive thinking won't, in fact, solve every problem. When Sevens are able to open up and explore the darker side, they can become more accepting of the dualities of life: the good and the bad, happy and sad. Their blogs can be a great place to process the slings and arrows of life but it can be difficult to put it out there. Sevens' greatest strengths include their versatility and willingness to try anything. They typically have a fast pace, which enables them to try ever more things. They want to explore it all. They're great at brainstorming and learning new things, ever energized by this process. When they direct this energy toward their blog, good things happen for them, as they see their efforts pay off and learn they can finish what they start. Their enthusiasm for a topic inspires us to be interested in it as well. Respondents reported their authenticity and direct yet genuine style as strengths. When they decide to share about the hard parts of their lives, they hope someone else will be encouraged and feel less alone as a result. Sevens want to be fully present in their lives and get the most out of each day, which often includes making the world a brighter place, thanks to their optimism. They report blogging has helped them figure out who they're supposed to be. One respondent reported her greatest strength was engagement, noting every comment and tweet is worthy of a reply. She reports enjoying the resulting conversation and looks for opportunities to create more of it. It's healthy for Sevens to learn to listen and see things from another point of view. Sevens reported their greatest temptation was to wander. They don't want to miss out on anything and tend to work on multiple projects in order to have lots of options for their flitting attention span. They believe "more is better," no matter what that might be. More projects, more food, more cat videos. This can be a way to avoid reality, however. Whatever their goals may be, blogging or otherwise, Sevens need to learn to discipline their appetites so they can work toward that which will satisfy them. Sevens reported a lack of focus when it comes to their writing. They don't want to be limited to one genre or niche. But healthy Sevens recognize being overly broad or unfocused hurts their writing, too. They're not quite sure what they want or what their brand should be. It's worth noting, respondents gave minimal responses to this section, proving their basic need of avoiding pain. It can be hard for Sevens to own up to their problems. They know they're not perfect but they'd rather not think about it and head to a party instead.